To consumers, the promise of a lifetime warranty is pretty clear. If something breaks, the company making the promise will fix or replace the product. Of course, there’s often fine print that makes a warranty less valuable. Other times, what the warranty promises isn’t clear. 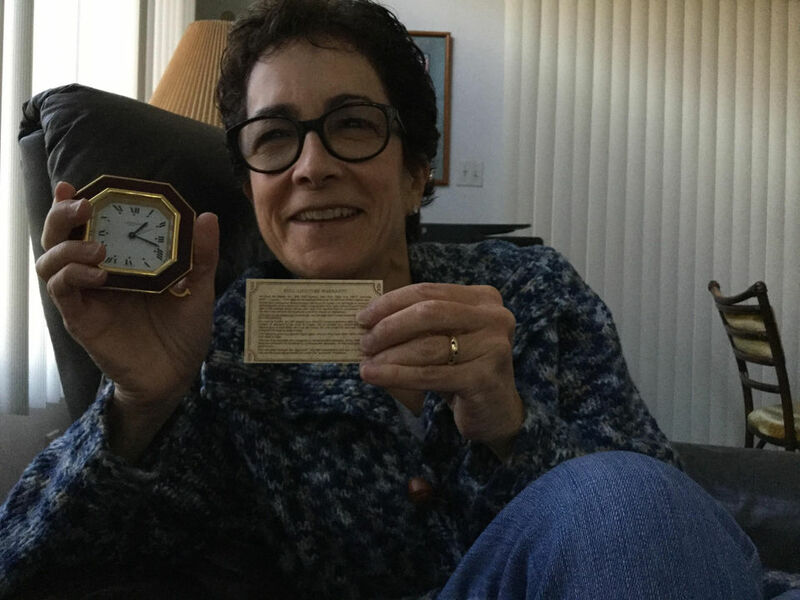 That doesn’t seem to be the case for the lifetime warranty on a Cartier clock that’s been in Betsy Topilow’s family for decades. 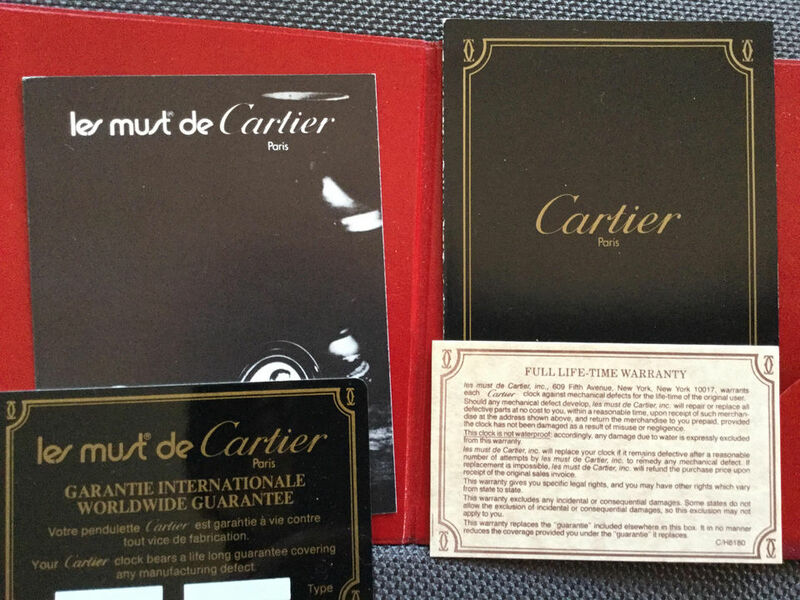 In the case of this warranty, Cartier simply wasn’t honoring its promise. When Topilow’s mother moved to a senior care facility about two years ago – her dad passed away in 2002 – Topilow was tasked with cleaning out her parents’ home. She came across a Cartier clock that she remembered from her youth. Time passed, and in September, Topilow decided to see if she could get the clock fixed. She had the original box and paperwork, which claimed a lifetime warranty. 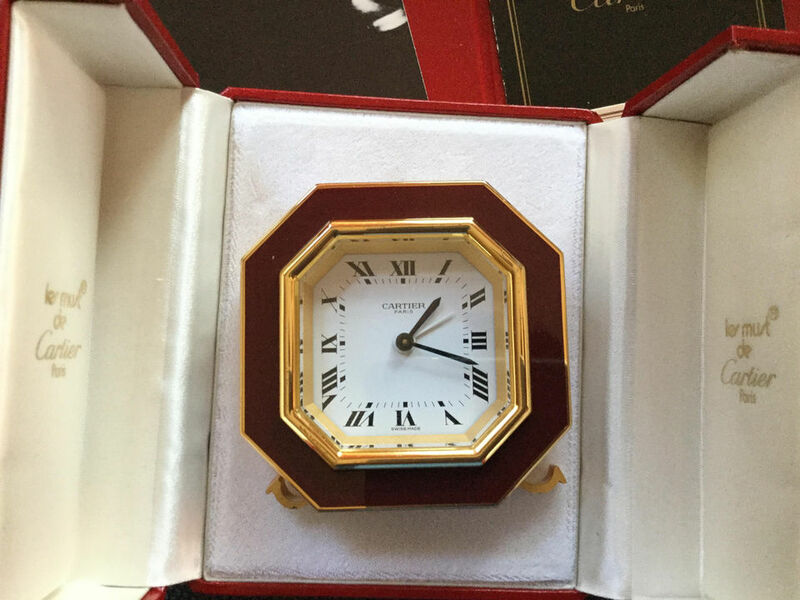 Topilow said she took the clock and its box to the Cartier store at The Mall at Short Hills, where an employee agreed to send it out for repairs. A few weeks later, the store called with the news. She didn’t want a discount. She only wanted the clock to be repaired. Disappointed but not ready to give up, Topilow took the clock to a local jewelry store for a second opinion. Instead, she contacted Cartier again, this time by email. She explained that she found a shop that could make the fix. Because the clock had a lifetime warranty, Topilow asked if Cartier would foot the bill. She received an answer on Sept. 28. “If you wish to have your clock repaired through a third party, kindly note we are unable to guarantee/warranty their work. In doing so, any cost associated with this repair would not be covered by Cartier,” the email said. That didn’t seem right to Topilow. “I told them how insulting that response was as the clock doesn’t work anyway, so their warranty, which they don’t even honor, doesn’t even matter,” she said. In an Oct. 1 email back to Cartier, she requested her case be reviewed by a supervisor. Shortly thereafter, Topilow received a phone call from the company. The rep explained again that the company wouldn’t pay for the repair, Topilow said. “Then she offered me a free – $700 value according to her – leather Cartier watch band for one of my watches,” she said. Topilow said thanks but no thanks. At the very least, she suggested, Cartier could split the repair cost with her. After that, Topilow shared her story with Bamboozled. We reviewed Topilow’s timeline of events and took a close look at the lifetime warranty. Its promise was pretty clear. It said Cartier would repair or replace all defective parts at no cost to the customer. It also said Cartier “… will replace your clock if it remains defective after a reasonable number of attempts…” And if replacement is impossible, it said, it would refund the purchase price as long as the customer still had the original receipt. 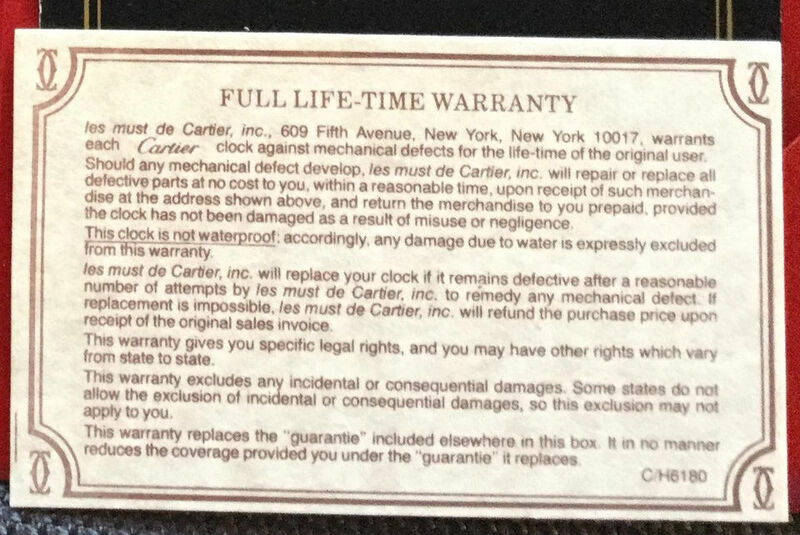 Nowhere does it say the warranty would be void if someone other than Cartier fixes the clock, nor does it address what would happen if the needed parts were unavailable. So, really, if Cartier is unable to fix the clock and someone else can, it seems perfectly reasonable for the customer to request Cartier pay the repair costs. And if such action does void the warranty, well, the clock is already broken, so what good is the warranty anyway? We reached out to Cartier with Topilow’s experience, and we asked it to reconsider. 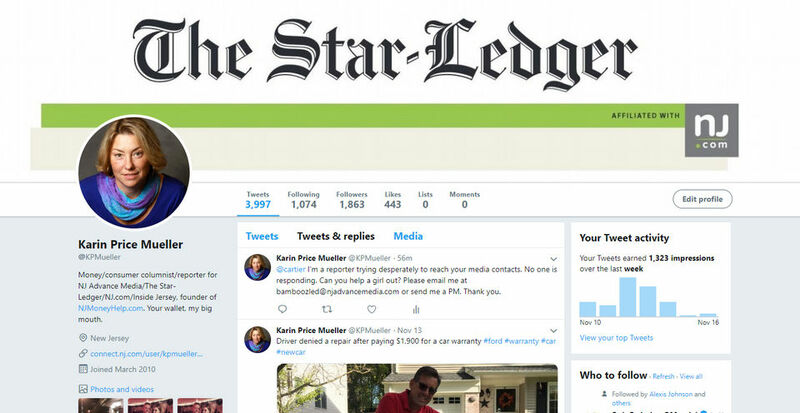 Traditionally, reporters will contact the public relations or media relations department of a company when seeking comment from a company. When no one responded to our message to the general press email address, we called the Cartier corporate office. After identifying as a reporter, the gentleman who answered the phone said “security reasons” prevented him from transferring the call to a Cartier media representative. Really? The media can’t be transferred to a media rep for the company? After further discussion, he said he could transfer the call if it was for a specific company employee. He suggested trying LinkedIn to get some names. So over the next 30 minutes, we identified and were transferred to six employees, leaving voicemails for each. Next, we tried the social media route. We sent a Tweet to Cartier, but no one responded. Then we tried Facebook, and within 15 minutes, we received a response. “Please kindly note, I am reaching out to the appropriate department for you. I will pass your information along accordingly,” the Cartier rep said. That was promising, so we waited. We tried yet another strategy: the parent company. 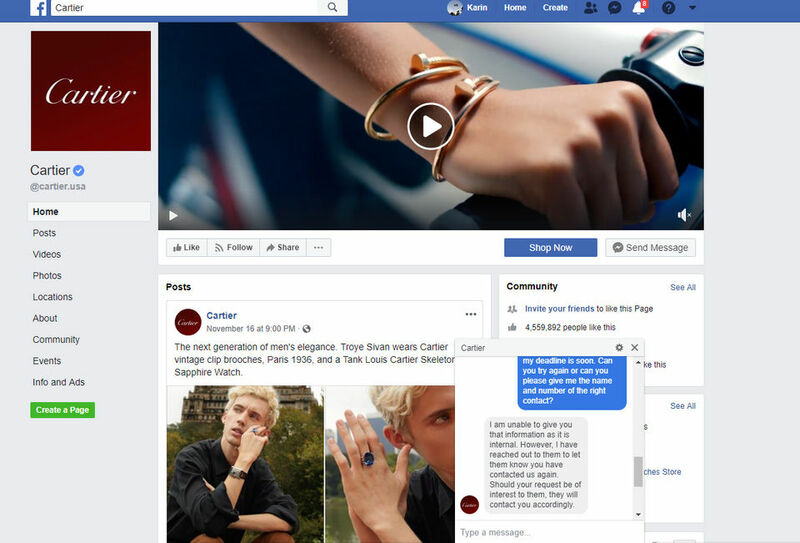 We sent an email to several representatives of Richemont, which owns Cartier and other luxury brands including including Montblanc, Alfred Dunhill and Vacheron Constantin. So we went back to Cartier’s corporate number to try another name we found on LinkedIn. We next left a message for Mercedes Abramo, the company’s North American president and CEO, hoping the executive offices would take interest in a consumer complaint. We sensed a trend, and as consumer advocates, we didn’t like it at all. So one more time, we tried the company’s Facebook page, hoping the kind soul who answered the last message would respond again. Should our request “be of interest to them”? We certainly hope the satisfaction of a customer with a lifetime warranty would be of interest to them. We let a few more days pass, just in case someone at Cartier decided they cared. Then we had a holiday miracle of sorts. Cartier’s parent company emailed to say it passed along the message to the right person, and then we got a call. But alas, that call turned into phone tag. Finally, we were able to share the details of Topilow’s experience with Cartier spokeswoman Shannon Burton. She said she would get someone on it. WIthin the week, Topilow heard from a customer service rep who offered to send the clock to the company for another review. That happened shortly after Thanksgiving, and on Dec, 18, Topilow received an answer. The rep said Cartier tried everything, but it was unable to fix the clock. Topilow said she wouldn’t expect Cartier to guarantee repairs made by someone else, but the rep said she had her doubts about the repair: If Cartier couldn’t repair it, no one really could, Topilow said she was told. Topilow said she doesn’t have the time to take Cartier to small claims court. She also doesn’t want to pay for the outside company to repair the clock because it would void the Cartier warranty, Topilow said, noting the irony. But then a new offer was on the table. Topilow said when the rep asked if there was anything else the company could do, Topilow inquired about the replacement clock offered as part of the warranty. “She didn’t think that’s what I wanted to do as it was a family heirloom and I explained that of course that wasn’t my first choice, but if I could look at something knowing where it originated, that would be a nice solution,” Topilow said. The rep said she was going to be out over the holidays, but she would ask someone else to look into it. On Dec. 28 – more than three months after Topilow’s efforts began – she received another email from Cartier. The rep said she was trying to bring in similar clocks to the Short Hills store, hoping Topilow would select one as a replacement for the broken family heirloom. Finally, some word came in a Jan. 17 email to Topilow from the Cartier rep.
“I didn’t want you to think we forgot about you, as soon as I hear from international I will contact you immediately,” the rep said. “I gave them the benefit of the doubt, but it’s way too long by now,” she said. So much for that lifetime warranty.